As students, recent graduates Vignesh Mohankumar, left, and Joydipto Bose were part of an NC State student team competing in the national Integrated Sustainable Building Design challenge. 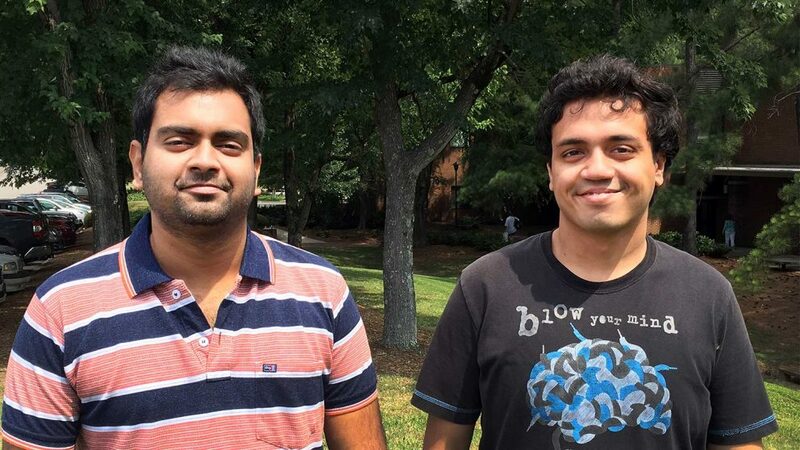 Other members of the team are current NC State students Pranav Mohan Parki, Pinaki Acharya and Ashutosh Dharap. About 65 miles off the extreme southern coast of Chile is a small string of islands where ‒ save for a small 1950s-era weather station ‒ there’s little sign of human life. Neighbored to the south by Antarctica, the Diego Ramirez Islands are among the globe’s most remote areas. Imagine new weather patterns necessitated additional meteorological study on the islands. Could a new weather station be designed and constructed to maximize sustainability while also ensuring health and safety for building occupants? That was the design scenario addressed by a team of five NC State graduate students in the annual Integrated Sustainable Building Design competition hosted by the American Society of Heating, Refrigerating and Air-Conditioning Engineers (ASHRAE). When then-student Joydipto Bose learned about the competition last fall, he shared it with fellow students, hoping to gain enough interest to form a team. In January, Bose and four other mechanical engineering students started working on the project. The competition provides teams with a building floor plan, a budget and project requirements. The design and all other details are developed by student teams. “This was an open-ended project where you decide what variables to consider. That’s how real life works,” Bose said. To meet the multi-disciplinary requirements, the students sought help from dozens of experts in building design, renewable energy and sustainability. From faculty member Dr. Stephen Terry, the team learned about energy modeling. From the local ASHRAE professional chapter, they learned about industry standards for energy system design. From University Sustainability Office staff member Liz Bowen, they learned about Leadership in Energy and Environmental Design (LEED) certification and how to apply it to their proposed building. Team members also learned about and integrated sustainable project features such as a vegetative roof, rainwater and graywater collection systems, water-efficient plumbing fixtures, natural lighting and renewable energy. They designed an HVAC system, selected efficient building materials and managed a budget. The project also exposed the team to lifecycle analysis, as well as calculating return on investment over the life of the building. A multidisciplinary competition by design, the challenge required knowledge beyond mechanical engineering, forcing the students to research, develop new skills and manage a complex project. The winners of the competition will be announced in early August.